Situtated at the fenced off, disused Lichfield Road entrance to Sandhills Quarry, I spotted this derelect, boarded up bungalow. Anyone know the story? Who lived here? What was it used for, if not a dwelling? 5:36pm, Sunday, 15th May 2011. 10 Responses to Who lived in a house like this? In the 70’s a family lived there, with a couple of young boys. Not sure if there was some connection with the Quarry. But the house has been empty since the 80’s. My wife believes that a Mrs Street lived there in the 50’s – she was a Bradbury ( member of the Brownhills Bradbury family) when single. I was one of those boys! hope didn’t cause any trouble lol. We have Brownhills electoral registers from 1955 onwards, so if the bungalow was in private hands i could check if i have a name or number for the property. The Streets were in number 20 in 1955. Generally speaking, bungalows are unusual before 1920, so that makes sense. Thank you Paul for another fine contribution. I love the way you just wing this stuff and do guerilla research spontaneously on our behalf. You are the very embodiment of the spirit and fine work done by the team at Walsall Local History Centre – the whole team, Ruth, Stuart, yourself – all do such fantastic, valuable work and this blog wouldn’t be what it is without you folks. Thanks again to you, Paul, and to all who contribute and make this rambling, festering ramshackle pile of rantage exactly what it is. Long time ago Mr and Mrs Street lived there. Liliane worked in Bradbury’s shop on Brownhills High Street, Clifford was an osteopath. Then when the quarry took over the building a Mr and Mrs Pool lived there. Marlene worked at the BRD, Barry worked in the quarry. Sources; two immediate present and past neighbours, and my wife! 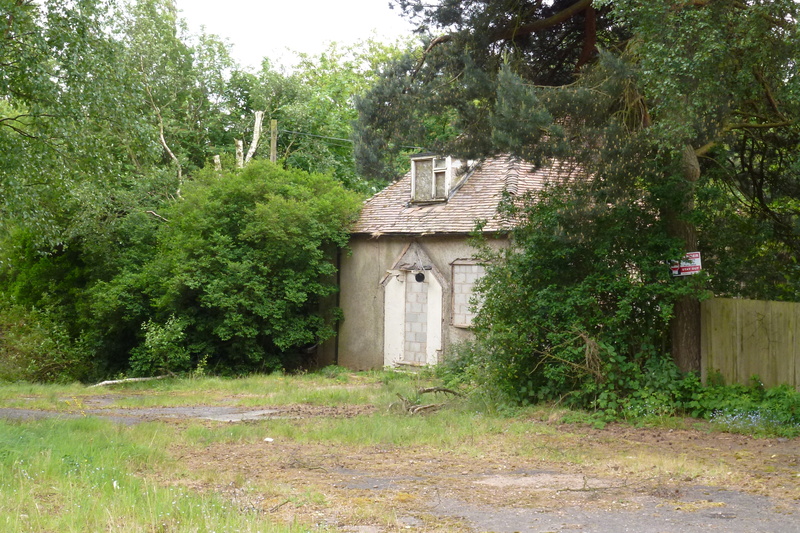 re;- your other derelict cottage, in Footherly..sorry I don’t know how to pin comments on this photo.. An old man, Mr Horton, lived there in the 60s, early 70s. and used to sell some of his garden vegetables..He would put what he had to sell on the front garden wall. His little dog had a very big bark..and sharp teeth! There was an old car, perhaps an 1100, inside the barn at the side of the cottage. I used to buy good fresh vegetable from the chap..and can vouch for the sharpness of the dog’s teeth. He was a kindly old chap.. I remember him for his rolled up shirt sleeves, belt and braces, you know the sort of “old timer”. I lived there from 1974 aged 8 [one of the two young boys mentioned earlier!] until I was 15yrs old. I’ve posted a few comments on the other post about the house called ‘no one at home’. No one has commented about the amazing gardens / tennis court and orchards that were once there.. anyone know about these?